Wash and pat dry baby corns. Mix gram flour, chili powder, asafetida, ajwain, baking soda, salt and enough water to make a thick batter. Dip the bay corn in batter and deep fry till both sides are golden brown. Serve hot with tomato ketchup or any dip of your choice. 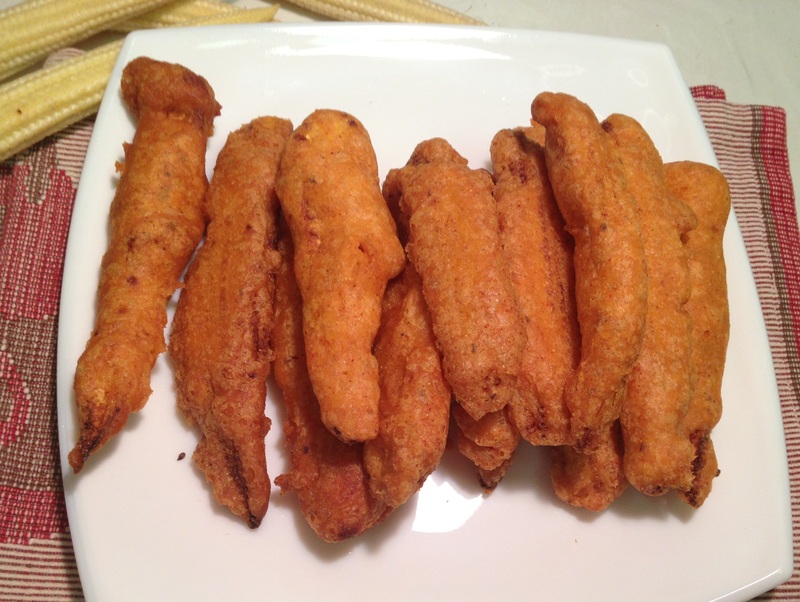 This entry was posted in Appetizer: Vegetarian and tagged baby corn fritters, babycorn pakoda by PriyaBaby. Bookmark the permalink.